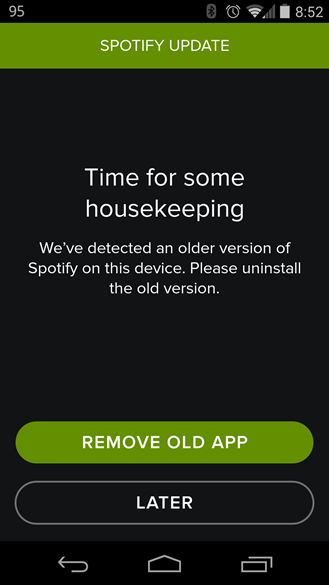 The screen above is what you see if you try to use the older version of Spotify today. The outdated app is labeled simply "Spotify" on the Play Store, whereas the newer and ostensibly safer addition is "Spotify Music." Once the new version is installed, it will direct users to uninstall the older one, probably just to save confusion. 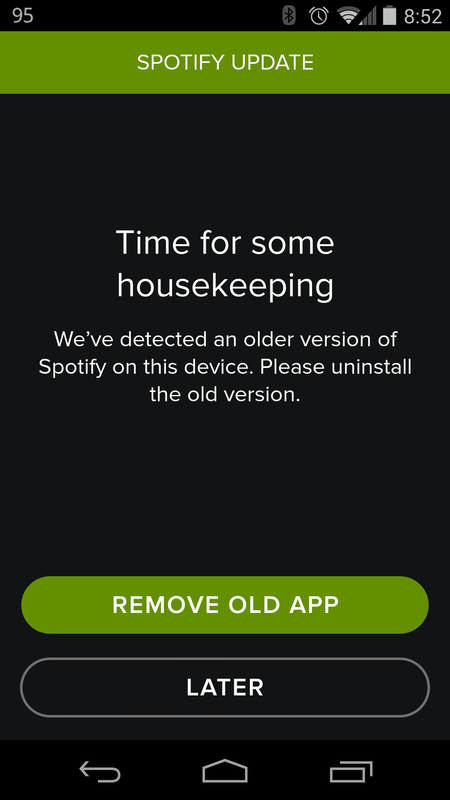 I'd wager that Spotify will remove the original in a few weeks or so to make a clean break. 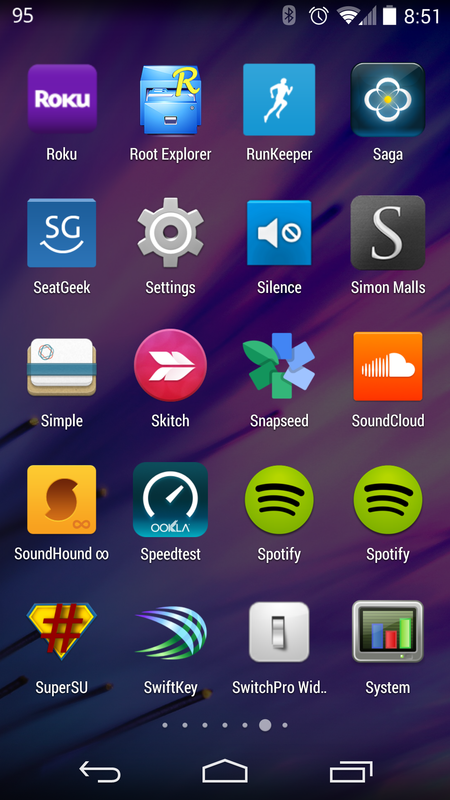 A similar new app has been published on the Amazon Appstore (the old one is here). Offline playlists will need to be re-downloaded in the new version of the app. 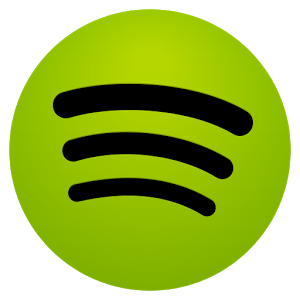 There's a silver lining to all this: according to Spotify's self-reported alert, the data breach only happened to a single Spotify user, and the data in question didn't include the user's password or credit card information. At the time of writing, it looks like you don't need to change your password or update anything aside from the app itself. 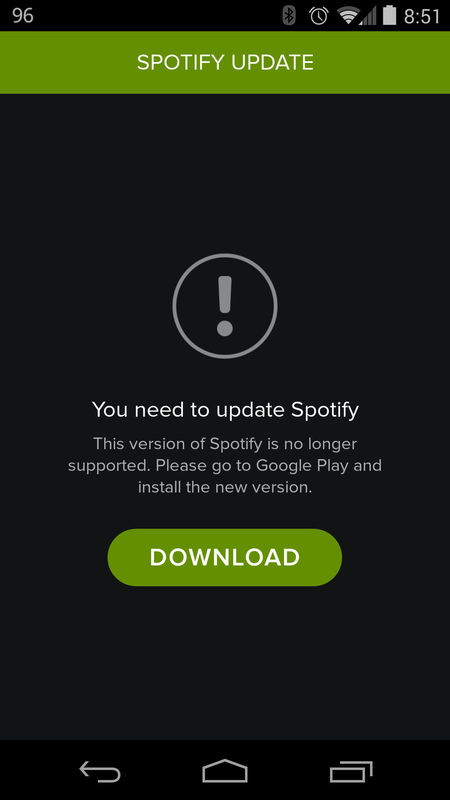 Presumably the singular hack involved the Android app in some way, but Spotify is being pretty sparing with the details.